LinkedIn is a professional social network that everyone in business who is growing their business should be using. LinkedIn is a social networking channel similar to Facebook and Google+, but still very different. What makes LinkedIn so different is that it has become the accepted channel for professional online networking. If you have a profile and it is not yet fully optimized, spend some time building up a complete profile. Your profile on LinkedIn is one of the central ways others will connect and find you on this network. The more information you share on your profile, the more searchable it will be. This will give you a better chance of making connections with the right people. If you are still having doubts about this powerful networking tool, find below a couple of tips on why you should include it in your social media marketing strategy. Increased business exposure: Networking on LinkedIn can increase the chances of connecting with like-minded individuals and can increase your business exposure. People can search for products and services not only from their own network, but also from people who your network knows directly. Personal branding: You can increase your online credibility if you are marketing yourself as the expert in your niche. You can increase your visibility to your network and with the people searching for any services that you offer. A positive presence only reinforces the branding you are doing elsewhere. 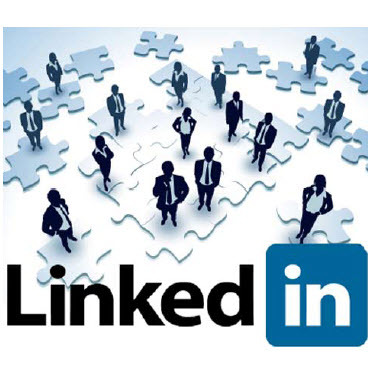 Networking: In my opinion, LinkedIn is the most trusted online channel for connecting with professionals. Facebook is also great, but it doesn’t have the same audience that LinkedIn has. LinkedIn allows you to connect with clients, old colleagues, vendors and so forth. Network search: The search engine on LinkedIn is very powerful if you are looking for people you haven’t connected with in years. The LinkedIn database is optimized and kept up to date by each individual. Relationship marketing: Who knows whom in your business network? Not only do you have access to your entire address book, but also the address book of everyone in your network. You can find who in your network can connect you with a certain company and they might give you a ref feral.